This D/B project, in Charlotte County north of Punta Gorda, involved the reconstruction of a two-lane urban facility to a four-lane facility that would accommodate widening to the median to a six-lane ultimate section. The southern two miles was constructed to a suburban section with a curb and gutter on the outside. The northern 2.5 miles was constructed to a rural section. 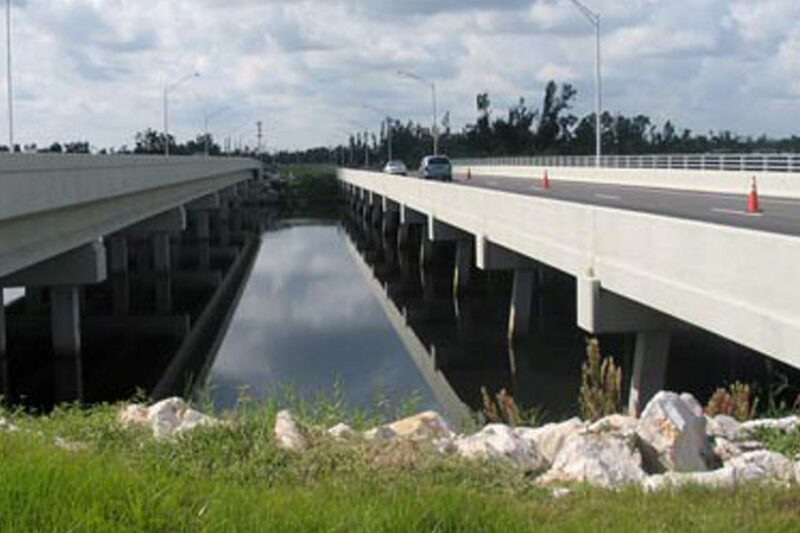 Three new bridges were designed and constructed next to the existing structures that were modified and upgraded. Environmental and drainage issues included gopher tortoises, scrub jays, FEMA no-rise certification, floodplain impacts, and wetland impacts. KCA was responsible for all aspects of the project including utility coordination with the owners, obtaining permits, lighting design, traffic control, signing and pavement marking, structures, and CEI.